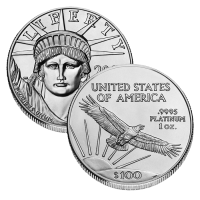 The 2010 $100 American Eagle Platinum Bullion Coin will mark the return of a series which debuted in 1997 if the Mint decides to strike them. Each one ounce platinum coin is struck from 99.95% platinum to a diameter of 1.287 inches. Fractional sizes of 1/2 ounce, 1/4 ounce and 1/10 ounce are also typically struck. Additional fractional sizes of the Platinum Eagles were also sold each year. 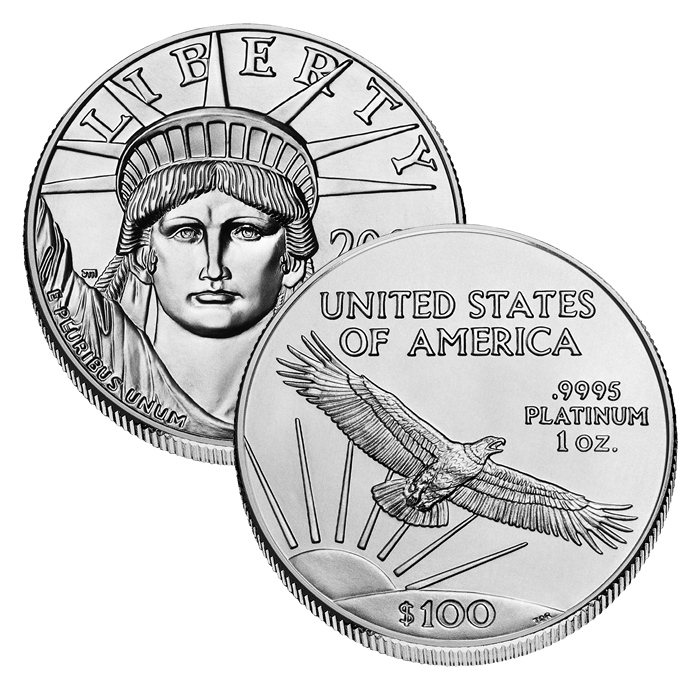 Platinum Eagle Coins first made their debut in 1997 and ran annually through 2008. In 2009, the Mint struck no Platinum Eagles. Information on if and when the 2010 Platinum Eagles has not been announced by the US Mint. Platinum bullion coins are distributed through a network of authorized purchasers which resells the coins to individuals for a small premium above the spot price of the platinum contained within them. Both the US Mint in facility in Philadelphia and the US Mint facility in West Point have struck Platinum Eagles. Designed and sculpted by United States Mint Sculptor-Engraver John Mercanti, the obverse (heads side) of each of the Platinum Eagles features an image of the Statue of Liberty. The coins have shown the same obverse design since their introduction in 1997. Thomas D. Rogers designed the soaring Eagle above America shown on the reverse (tails side) of the coin.